This is the first in a three-part series. Most of the information in this series of posts is specific to the Kindle line of e-readers and the Amazon bookstore. A while back, I did a post on where to find free books for your Kindle. 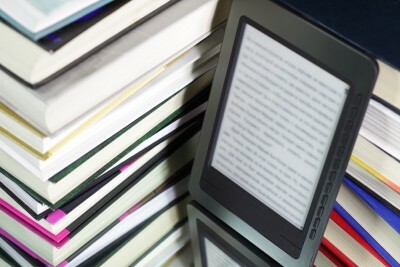 A few more are listed in this article on tips for the new Kindle Owner. When I bought my first Kindle in 2008, free books were very few and generally, offered by major publishers or their imprints. Back then, with few freebies and books going for an average of $9.99, it made sense to grab every free book that was available. And there were some good ones: I got Tess Gerritsen’s The Surgeon (the first book in the Rizzoli and Isles series) and Julia Spencer-Fleming’s In the Bleak Midwinter as just a couple of my early free books. Now, it’s a different landscape. With Amazon’s KDP Select publishing, literally hundreds of free indie books are offered daily. The number of blogs, websites and newsletters letting you know the daily free books has multiplied exponentially. Even Amazon has made it easy with a list of the top 100 bestsellers, free and paid, on their website. So now, the TBR pile (your stash of To-Be-Read books) has become a problem of its own. This is where the difference between digital and physical books becomes quite clear. For a print book reader, the TBR pile was self-limiting. As some point you literally run out of room, your books fall off the nightstand, or the bookshelf simply will not hold anymore. For book lovers, digital books didn’t have that problem. No cluttered piles of books. Promises of storage for 2000 to 3000 books on your Kindle. And, with e-readers that had expandable storage options like the first generation Kindle, you could just keep adding more and more books. So now, it seems, the problem has reversed itself: Instead of asking where do I find free books, people are asking where do I find good free books and, more importantly, how do I organize them all? Who would have ever thought that managing free books for the Kindle could actually be considered a problem? Are you tired of sorting through lists to find free books that are actually worth your time? Maybe you are one of those people who like an uncluttered Kindle home page. Maybe you have so many books on your Kindle that you can’t find or organize them all. Maybe you are tired of books that are badly written, unedited or badly formatted. Or, perhaps, your Kindle is actually starting to slow down or malfunction because of the sheer volume of books you own. Over the next few blog entries, we will try to address solutions to some of those problems. Next time in Part Two: Choosing more wisely and finding sites that will help you do just that. And in Part Three: Organizing your Digital TBR Pile. Note: Due to a family emergency, part 3 was never written. This entry was posted in eBooks, Free, Kindle, Kitchen sink, The eReading Experience, Tips. Bookmark the permalink. Oh boy, are you talking me language. Can’t wait for Part III. Jan, the screen locking while highlighting is a common problem. It can be related to the number of books you have on your Kindle or an indexing problem. The most likely culprit, however, especially if you highlight a lot or if you take a lot of notes is that your My Clippings file has gotten too big. What kind of Kindle do you have? And, have you tried a hard reset on it to see if that helped? Glinda, I have a Kindle Keyboard. I’ve noticed the problem gets worse if I highlight quickly before hitting enter, highlight often–even if they are small snippets–or if the battery is on the low side. Yes, I’ve done the hard reset. I’ve also had to resort to turning the Kindle off to get text highlighted. i.e. If I select a passage slowly, give it a minute and hit enter, sometimes if freezes there. Back doesn’t even work, so I have to turn it off. When I turn it on again, the highlighting has been taken care of. Re indexing: I have two pages of indexes which hold my purchased books (paid and unread, unpaid and read, currently reading, etc.) and then about 18 pages of samples I have yet to try. I don’t want to have you pre-empt your part III, but obviously I’m curious if there’s a better way to organize that won’t compromise function. I think your problem is only tangentally related to part three, LOL! The problem really sounds like your My Clippings file is too big. Do you have a lot of notes and highlights on the Kindle? Sometimes the problem is that you’ve highlighted a passage that has bad code embedded in it. It may not effect how the book displays, but it does cause it to hang while highlighting. The solution for either problem is the same. You need to copy your My Clippings folder to your PC so that you save your notes and highlights. Then, delete the My Clippings file from the Kindle (not the PC!). A new My clippings folder will be created automatically and you should be able to highlight normally (or so I’ve been told – I don’t do a lot of highlighting, so I’ve never had the problem). If you want to, you can rename your old clippings file and put it back on the Kindle. Poor Glinda. I come and hijack your thread with my questions. If you’d like to keep these for another post, please feel free! I’ve got this blog in my blog reader now, so I’ll see it. I do have a fair number of clippings for my non-fiction books. I tend to reread non-fiction and skip to the highlights. If I remove or rename my clippings file, does that mean I’ll have lost the highlighting within the book when I reread? I love free ebooks. The number of ebooks on my Kindle can feel overwhelming at times, but it’s there because I want to read it eventually. I never download an ebook just because it’s free or inexpensive. I always look for reviews first, and I read sample chapters when available. That way I’m not stuck with badly written books. I have had a lot of people confess that they think they have problems with hoarding books or that they find free books addictive. They tend to download everything with no discrimination. I think your method is great and talk about doing just that in part two. I guess my point is that everybody handles free books differently and, for many of us, we’ve changed the way we download free books based on the sheer number of them available. For me, the free books are are a great way to try a new author. If I like what I read, I go out and buy more of the author’s works. And I always try to tweet, rate or leave a review to “pay” for the books I download for free….